Easter Island has long been viewed as a land shrouded in mystery. Its landscape is dark and forbidding. Its population is very small. And those statues! When you think about Easter Island, the questions cry out for answers. How did all those statues get to the island's shore? How come there are so many statues, and so few people on Easter Island? This model can be used to develop and test simple theories to answer these questions. 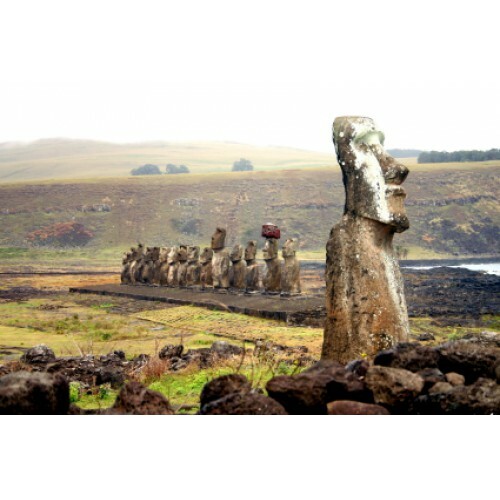 One theory views the population dynamics of the Easter Islanders to be a classic example of the "overshoot and collapse" phenomenon.